As we get older, our hearing and memory may begin to slip. This can be frustrating for the person and worrying for their loved ones, often making everyday tasks, like using the telephone, more difficult. 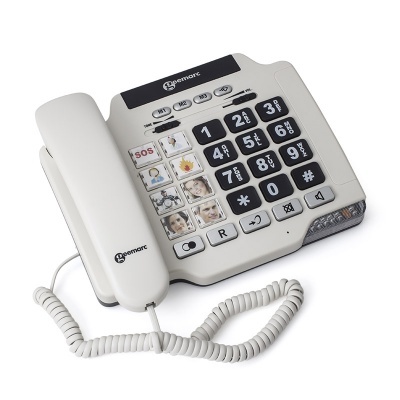 The Geemarc PhotoPhone 100 Amplified Picture Telephone is designed specifically for the elderly, hard of hearing and those who have trouble remembering phone numbers. 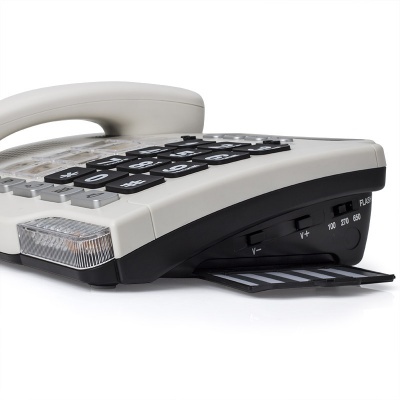 The phone features +30dB amplification, +/-10dB tone control and a hearing aid T-coil compatible handset – making it a great phone for the hard of hearing who may struggle to detect the ringing of a standard telephone. Keep your loved one safe and in contact with the Geemarc PhotoPhone 100! 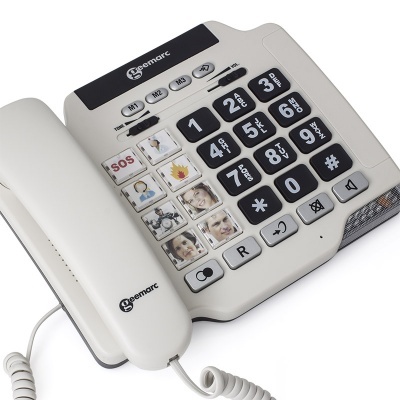 The Geemarc PhotoPhone 100 Amplified Telephone is suitable for people who suffer from high frequency hearing loss. Increasing the volume of your phone may seem an obvious solution if you can't hear the ringing, but this doesn't always help: instead, the Geemarc Photophone 100 has an inbuilt sound equaliser that selectively increases the volume of high or low frequency sounds. The Geemarc PhotoPhone 100 also features pre-programmed buttons and colourful photo frames to store favourite contact pictures. This allows for easy recollection of faces and easy dialling access, ideal for individuals who have trouble remembering phone numbers such as the elderly or children. 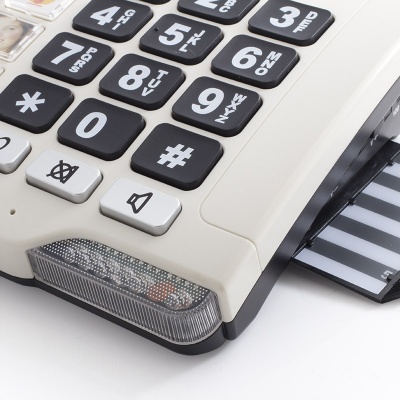 Once the numbers are stored on the phone, the user simply presses the button with the person's face who they wish to call and the phone will automatically dial the number. Using the telephone has never been so simple! Click the PDF Icon below to download the user manual for the Geemarc PhotoPhone 100 Amplified Picture Telephone.